While prepping my ingredients for dinner yesterday I discovered that my supply of frozen homemade beef stock had disappeared (what the?!?!) so I spent some time in the afternoon making another batch. 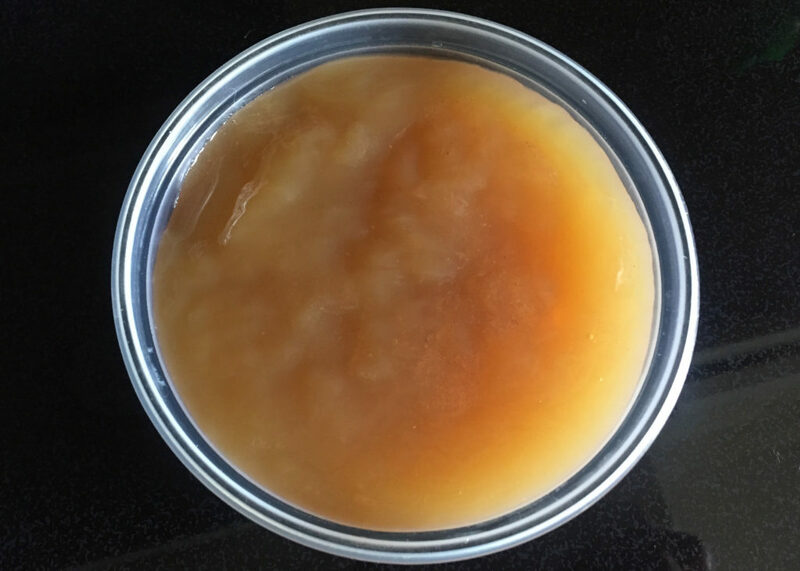 I keep telling you guys not to use that terrible canned/tetra pack stuff but have never told you how EASY it is to make your own beef stock in an Instant Pot (or other stove-top pressure cooker). It takes a few hours but most of that is hands off, and what you end up is so much more than the sum of its parts. I save all my beef bones and scraps in the freezer, and supplement them with bones from the butcher. I think I pay around $10 for 6 pounds of organic beef bones and once I supplement with a couple pounds of bones and scraps from dinners here and there I have enough to make 2 batches of stock. Very economical considering the quality. Blanch the bones by placing in a pot and cover completely with cold water. Bring to boil and let simmer for a couple minutes. Dump the water and rinse the bones. This gets rid of any impurities and makes a cleaner final stock. Heat oven to 400F. 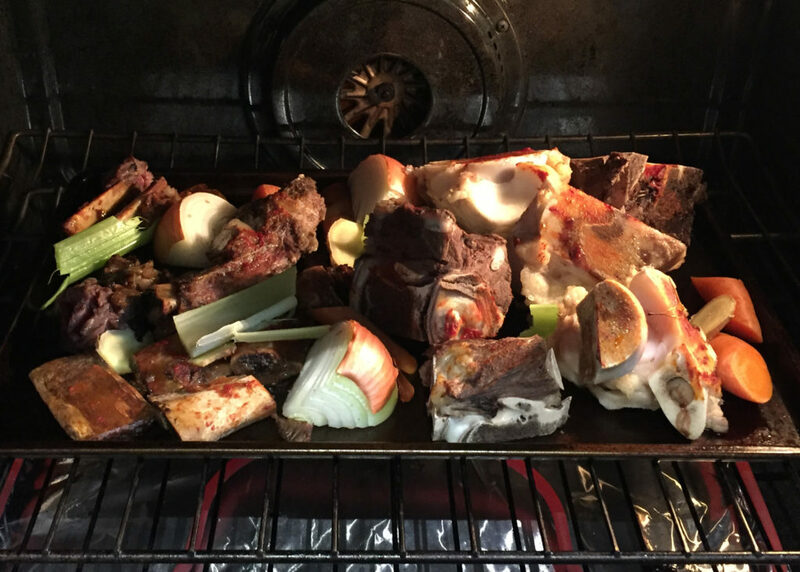 Place blanched bones and any meat scraps on a large cookie sheet. Brush bones with tomato paste. Add quartered onion (with peel, this helps colour the broth) and ginger, carrot and/or celery (if using) to the tray. Roast for 30 minutes. 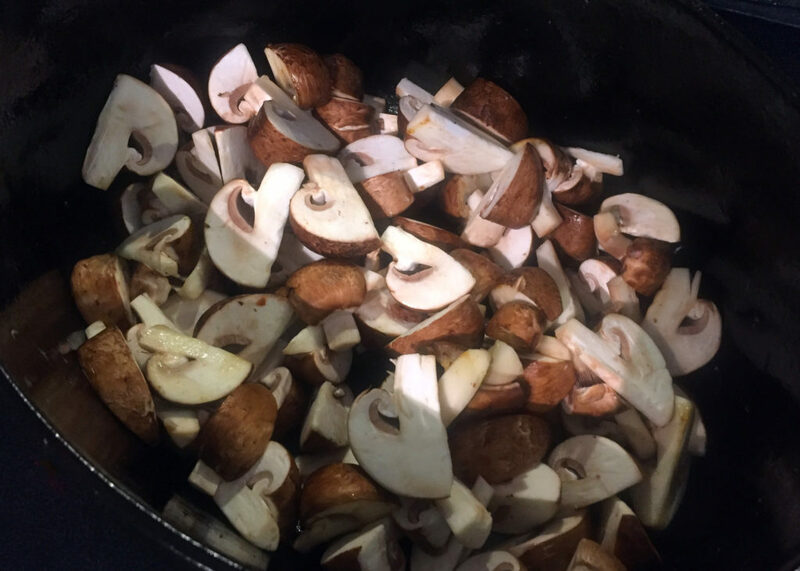 Once roasted, place the entire contents of the tray in your Instant Pot. Add apple cider vinegar and peppercorns. Pour in 8 cups of cold water. Pressure cook on high for 30 minutes and then let natural release for 20 minutes. Repeat twice more but let the pressure naturally release on the final cycle until the pin drops. 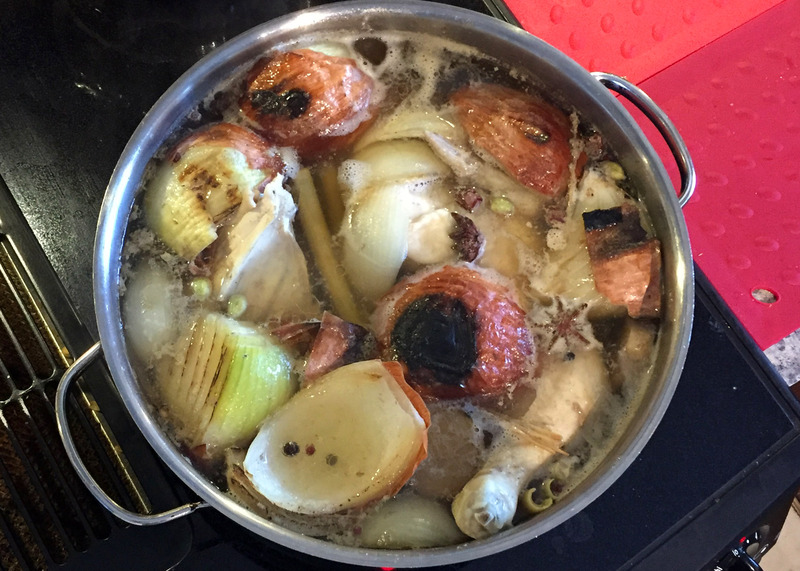 Your final cooking time for the stock will be 90 minutes on high with 20 minutes of natural release between each cycle, plus about an hour at the end for the pressure to release naturally (about 3 hours altogether). Sounds weird, I know, but this cycling of the pressure makes a much more flavourful stock than just simply cooking for 90 minutes straight. I have been craving French onion soup for at least a month. 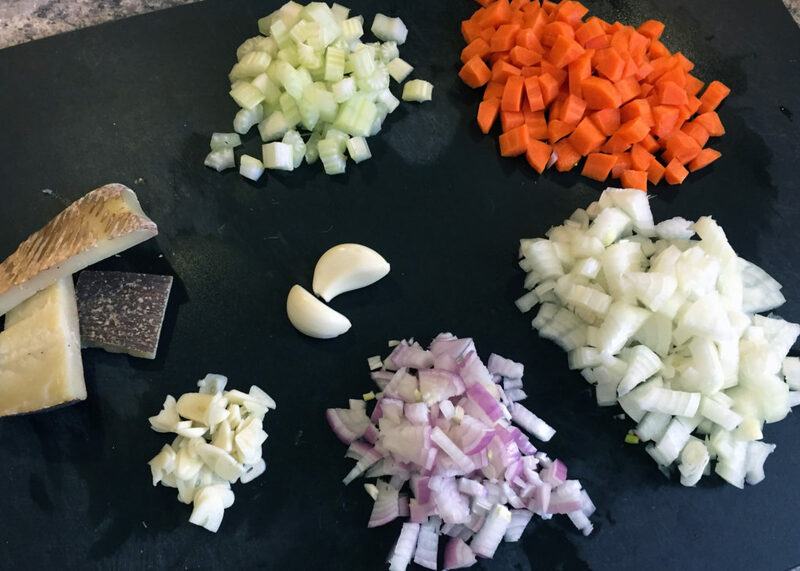 A few weeks ago I bought a 10 pound bag of onions with the plan to make soup and voila!… they sat there. A week later I moved them out to the garage for storage and… they sat there. 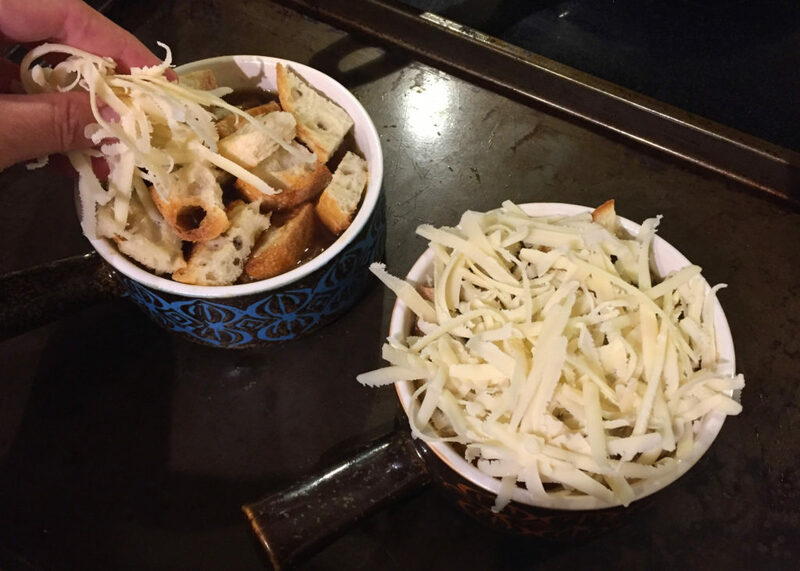 Last Friday we went to a French bistro for dinner and French onion soup was back on the menu for winter… yum! But I stopped myself from ordering it because I HAVE A 10 POUND BAG OF ONIONS AT HOME! So yesterday I did it! 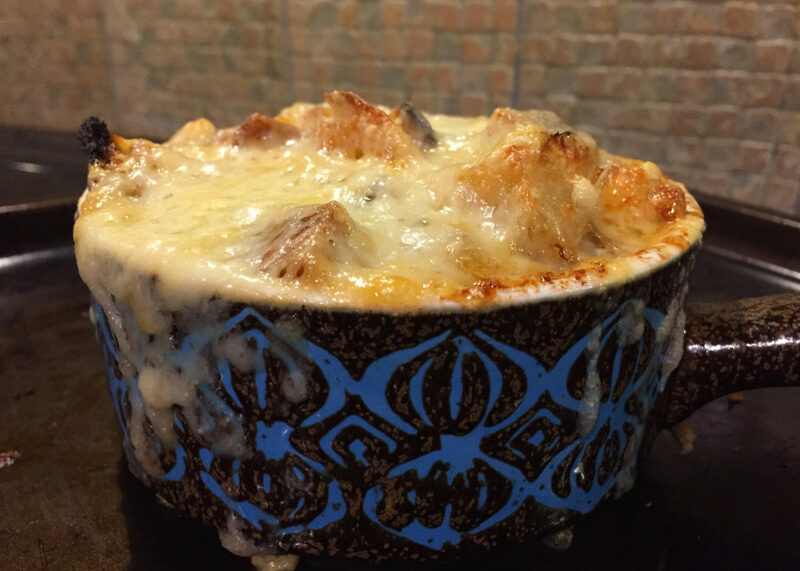 I made French onion soup! And it was amaaaaaazing! I used this recipe as a base and if you’re interested why it works so well take 5 minutes to read the back-story. I tweaked the recipe by sort of halving it but using a generous amount of onion, essentially doubling the fish sauce and cider vinegar, and cutting the bread into croutons because I just find it easier to eat that way. 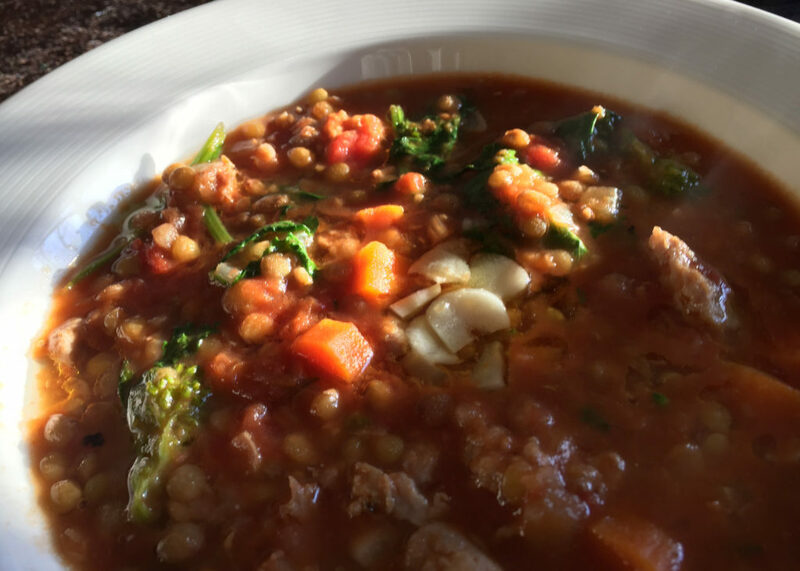 My version makes 4 servings (so Husband and I can have it twice) and I used a combination of homemade beef and chicken stock because I make my own. If you are buying stock from the grocery store, just use chicken. 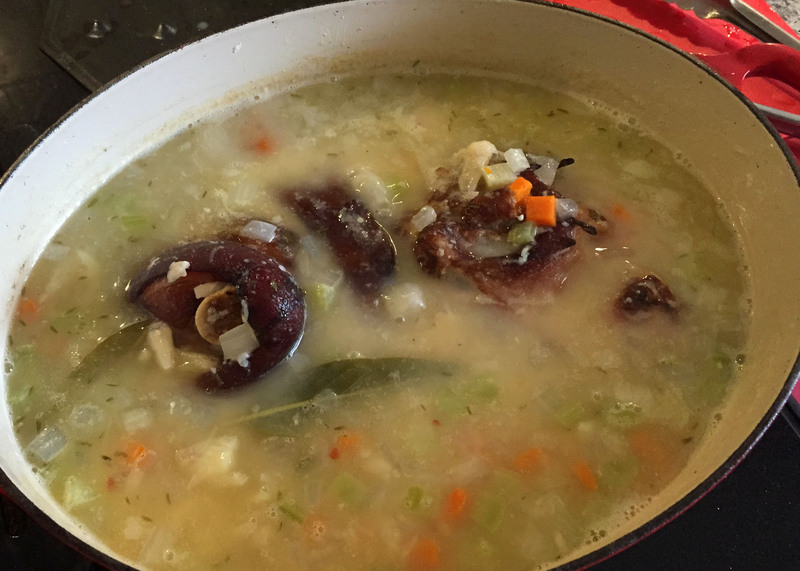 There is something wrong with store-bought beef stock. It has a weird tinny taste even if it’s not packaged in a can. 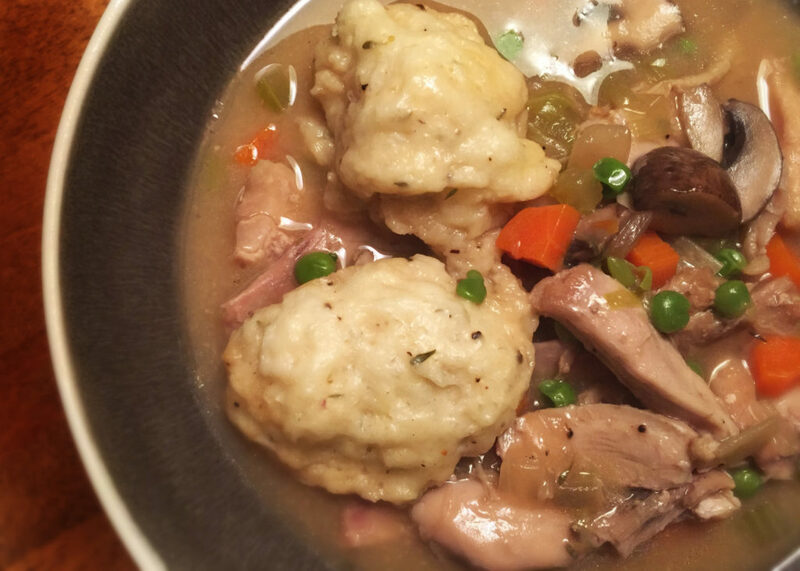 If you have a pressure cooker it’s very easy to make at home or just use chicken stock. 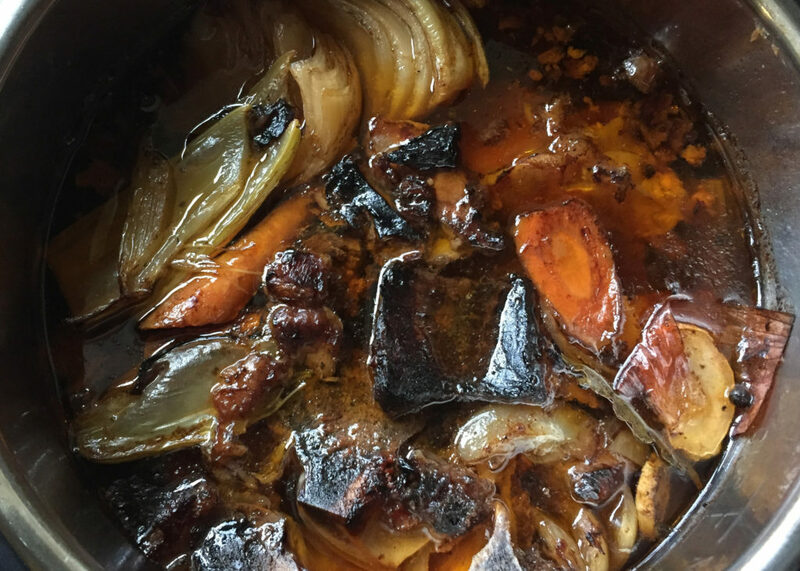 And, although I haven’t tried it, my guess is this would be tasty with a hearty vegetarian stock as well because much of the flavour comes from those deeply caramelized onions. 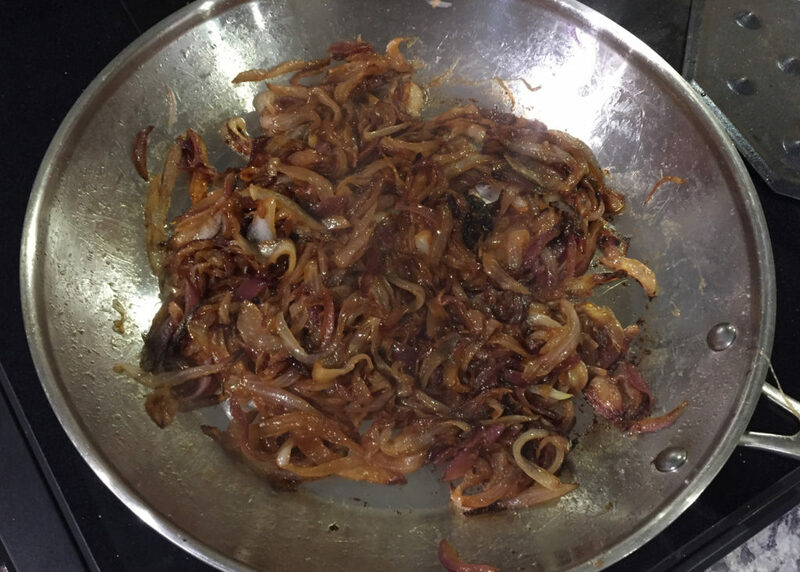 Speaking of which…a word about those caramelized onions. Use plain old yellow because the sweet ones make the broth too sweet. If you have a red onion throw that in as well for a more complex flavour. Caramelizing the onions takes some time and a bit of attention. Do them in a skillet over medium low heat. Mine took exactly one hour during which time you can putter around the house returning to the kitchen every 5-10 minutes to give them a stir. If they start to burn lower the heat and if they get too dry just add a splash of water. You don’t need any sugar as some recipes call for. Just a bit of patience and you will be justly rewarded, I guarantee it. Cut the onions in thin slices (1/4-1/8th inch thick) pole to pole. This will help them maintain their shape. Heat skillet over medium high heat and melt butter. Add onions, frying for 5-10 minutes until translucent. Turn down heat to medium-low and continue to cook, stirring every 5-10 minutes until dark golden brown. Turn heat lower if they start to burn and add a splash of water if they get too dry. Mine did not need any water. This should take about an hour. Toast your bread slices in the toaster or under a broiler until golden. 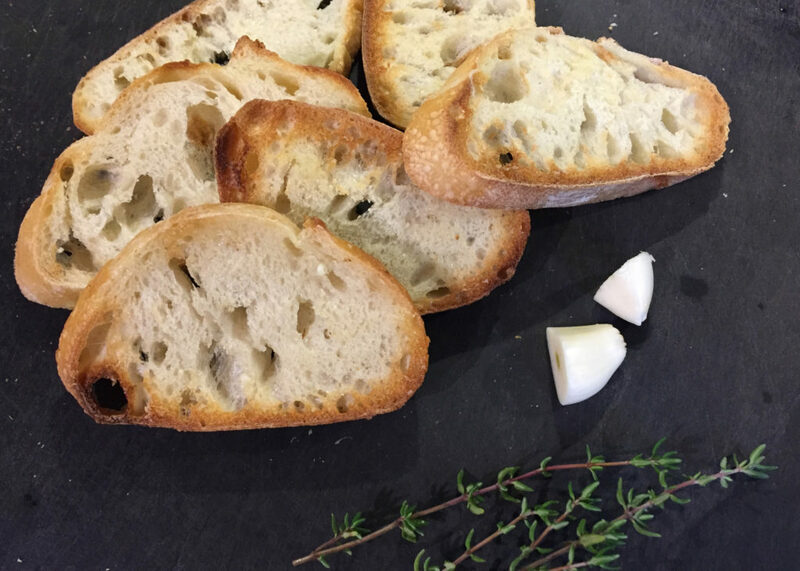 Rub both sides with the cut side of a clove of garlic. Cut into large croutons and set aside until needed. Grate the cheese and set aside until needed. 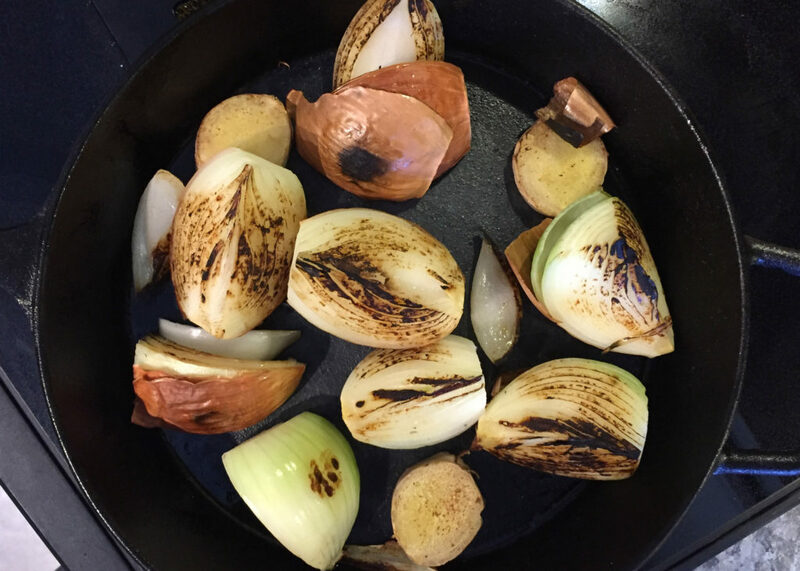 When your onions are meltingly caramelized add the sherry and scrape the bottom of the pan to lift up any of the delicious fond that has formed. 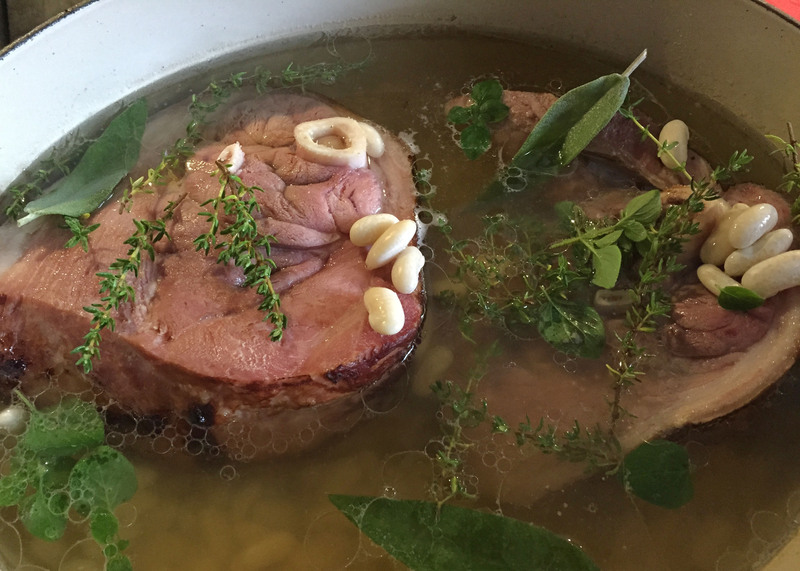 Stir for a minute or so to burn off the alcohol and then add your stock, thyme and bay leaf. Bring to a very gentle simmer and let gently bubble for about 20 minutes until it reaches the consistency you want for your soup. At 20 minutes mine lost about a cup of of liquid and had the velvety mouth-feel I was looking for. Soup can be held at this point for an hour or so off the burner or for a couple days in the fridge. 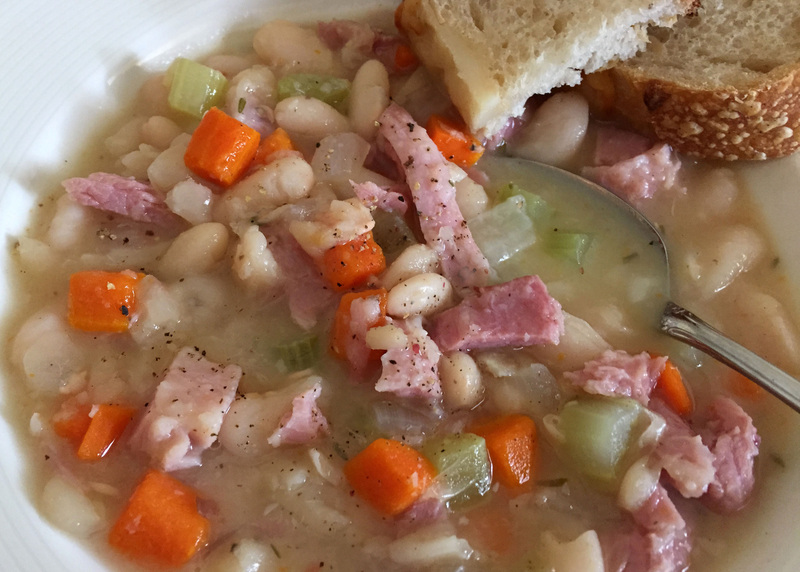 When you’re ready, reheat the soup if necessary. 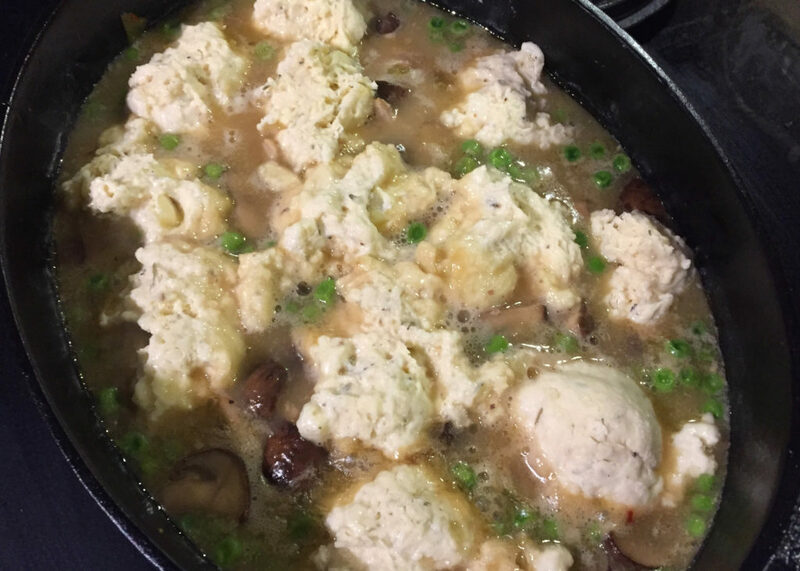 Preheat the broiler and fill oven-proof soup bowls leaving 1/2 inch of room at the top. 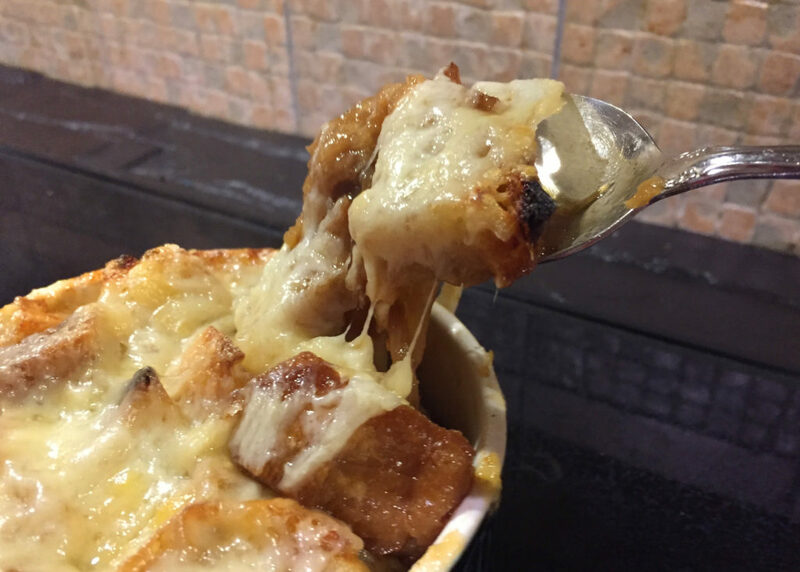 Place croutons on top of soup and cover with grated cheese. Set on a rimmed baking sheet and place on middle rack under broiler until bubbly and golden brown. This should take 5-10 minutes. Watch closely for burning. We ate this as our main course with a hearty salad. Bon appetit! 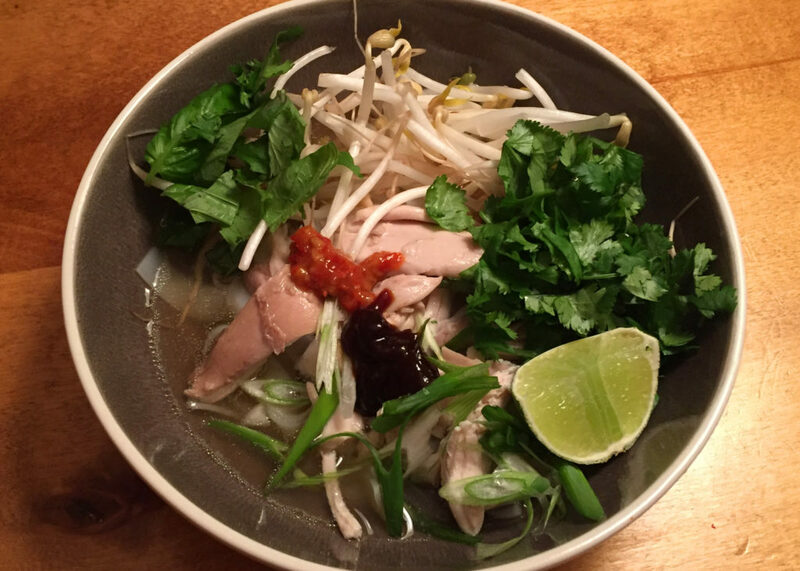 “All Day” Pho – The Cold Killer! I have had the worst cold! And not only is it the worst, it is the looooooongest! Seriously, it’s now been 3 weeks. I’M SO OVER IT… GO AWAY! And in this post-holiday, supposedly “get healthy” month, it’s not helpful that I am one of those weirdos who CANNOT GET ENOUGH TO EAT when I have a cold. I don’t know why that is. I’m like a dog eating grass when it feels nauseated. And those people who whimper “Oh, it’s been 3 days and I haven’t been able to eat a bite of food”… are you forking kidding me?!?! Bring on the roast chicken, pasta loaded with sauce (or not), potato chips and cheese. I’ll eat it all! So after devouring the contents of my fridge, I suddenly had a craving for a somewhat “clean” meal. Hot and spicy and something that would punch this cold in the nose. Pho. Mmmmmmmmm. 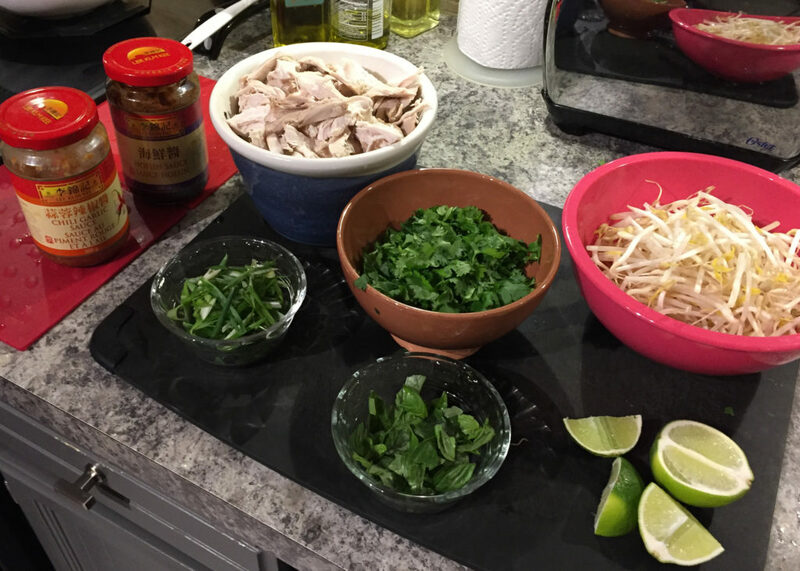 I order pho when I’m out for lunch all the time, but I had never tried making it at home. It seemed like a lot of work for a bowl of soup. 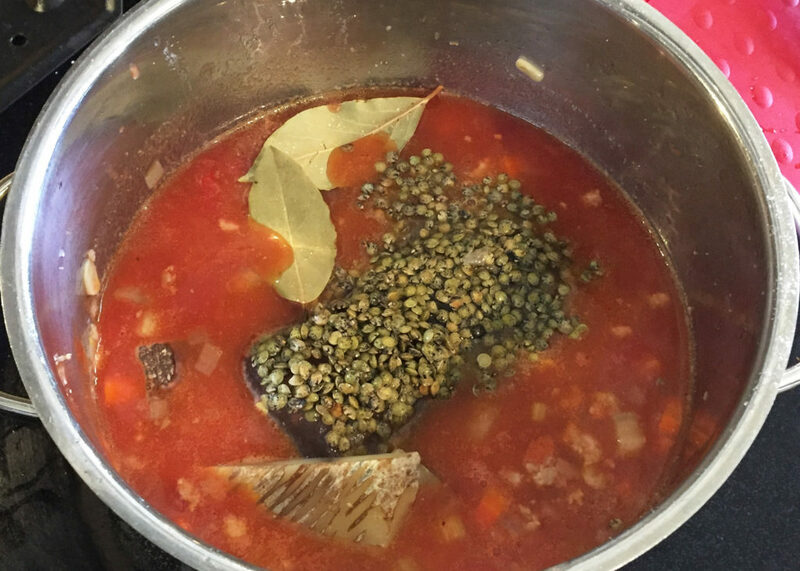 The rich luscious broth, all those different spices and herbs. Ugh. But shockingly, it wasn’t that difficult. 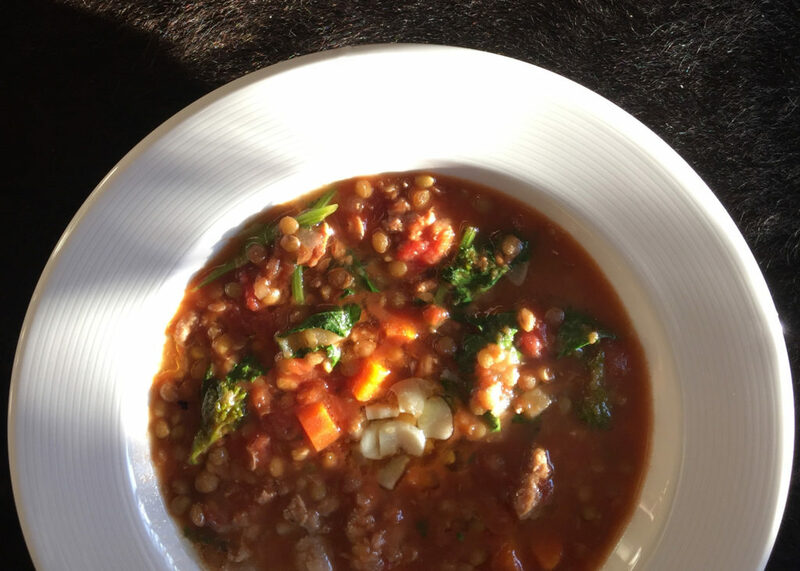 I have been running on about 5% energy for 3 weeks and I still managed to accomplish the best bowl of soup I’ve slurped in a long time, and so can you. It’s really not “all day”. It’s about 4 hours in total and much of that is lying about watching Netflix while the broth very gently simmers, extracting all the loveliness from the chicken, vegetables and spices. I have made chicken stock many times using leftover carcasses but I had never used a whole chicken before. I was surprised by the the silky tenderness of the meat after gently braising in liquid for 30 minutes. I don’t have a stock pot big enough for 4 litres (16 cups) of water plus all the other ingredients so I started by simmering the raw quartered chicken, veggies and spices in 12 cups of water. After 30 minutes I removed the now cooked chicken pieces and let cool about 10 minutes, then pulled off the meat. 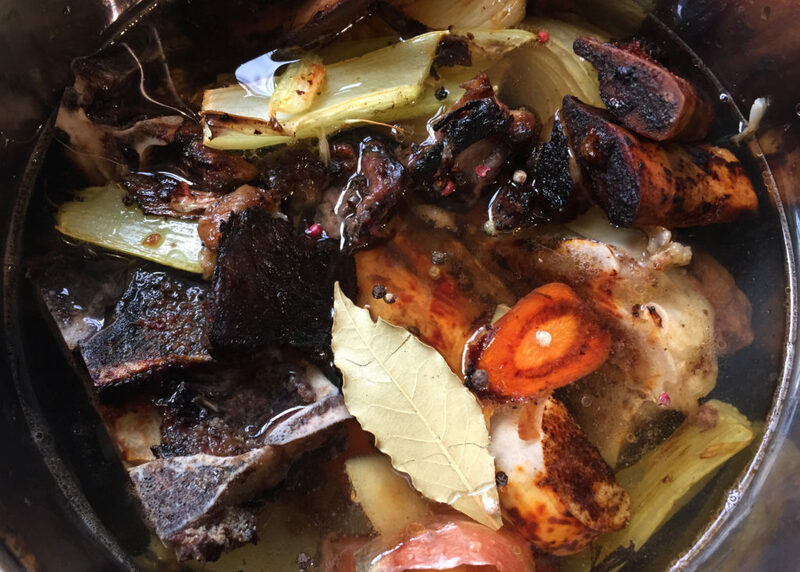 At this point I was able to add a second pre-cooked chicken carcass from the previous night along with the bones, fat and skin from the chicken pieces I just cleaned, plus another 2 cups of water and let simmer for another hour. After which I was able to add the final 2 cups of water (omit the final 2 cups of water if you don’t have a second leftover chicken carcass) and let simmer for the last hour. Finally, strain the broth into a large pot and stir in the fish sauce. 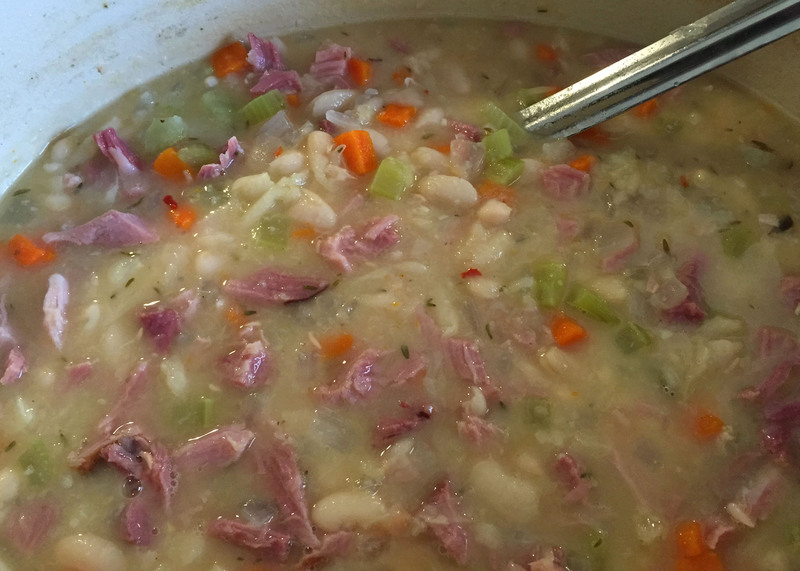 Start with 3 tablespoons and add in up to 3 more tablespoons, adjusting for taste as you go. The resulting broth is sublime. I ended up with about 14 cups of broth (from the original 16 cups of water plus whatever juices came from the chicken). You can skim some of the fat if you want but the point of this broth is its richness so I skimmed only half the fat, leaving the rest in the broth. Kitchen math: Fat = flavour. This recipe is very loosely based on the many internet versions of Pho Ga by Charles Phan, author of Vietnamese Home Cooking and owner of The Slanted Door restaurants in San Francisco. 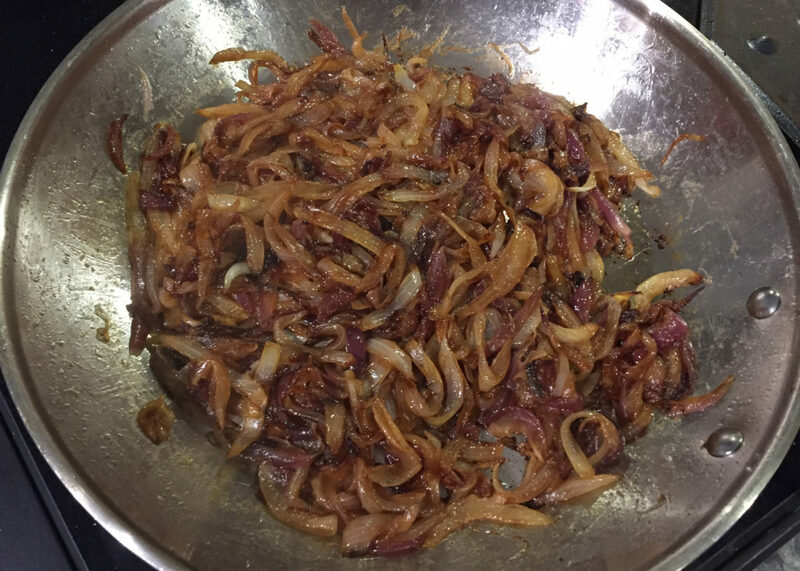 Some versions suggest you make your own crispy fried shallots for one of the toppings which would be delicious, but I find the fried shallots or onions you can buy at your local grocery store work very well in a pinch, without the deep fry smell lingering in your home for the next 2 days. 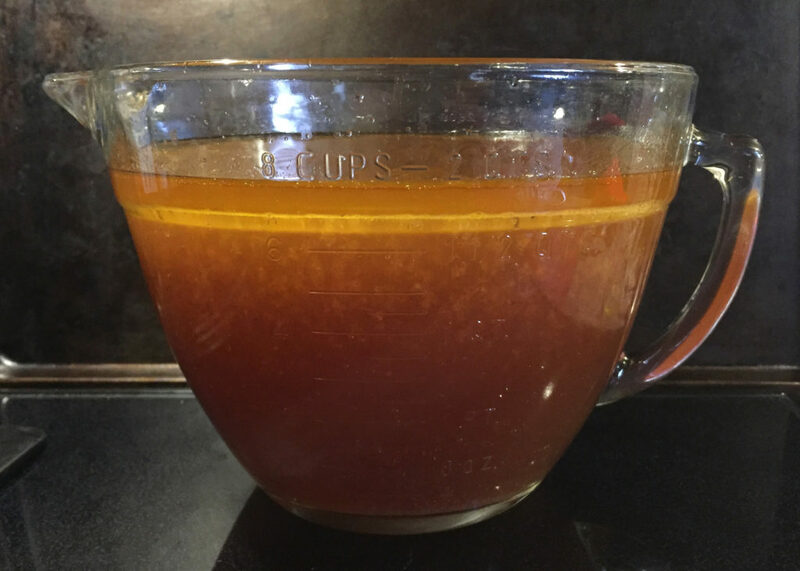 The broth can be made a day or two ahead of time and when you’re ready, reheat your broth, put some noodles and chicken in the bottom of your bowl, and ladle over the hot broth. I like to add a dollop of Asian chili-garlic sauce and hoisin sauce and mix in a bit. Then top with the green onion, bean sprouts, herbs, shallots, squeeze over some fresh lime and throw on some crispy fried shallots if you wish (I forgot to do this for the picture!). Heat a cast iron or other heavy bottomed frying pan with just a bare film of oil over medium high heat. 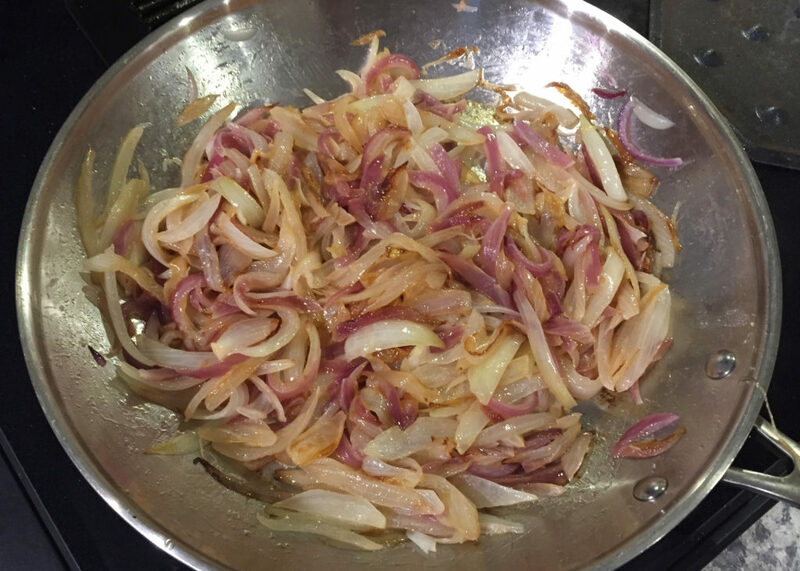 Add quartered onions and ginger slices and char all all sides until onion begins to soften. This will take about 5-10 minutes. Alternatively you could put them on a baking sheet in a 400F oven for about 30 minutes. Fill a large pot with 4 litres (16 cups) of water and bring to boil. 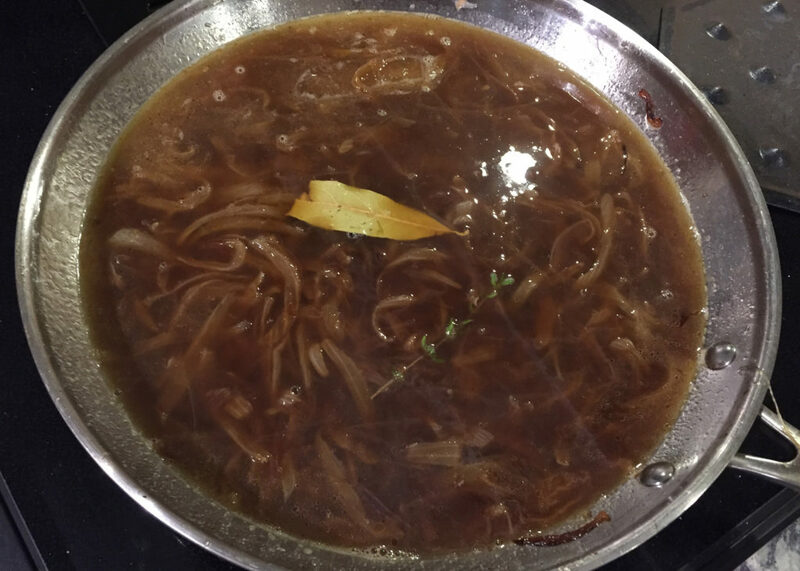 Add the roasted onions, ginger, raw chicken and second chicken carcass if you have it, and the rest of the broth spices. 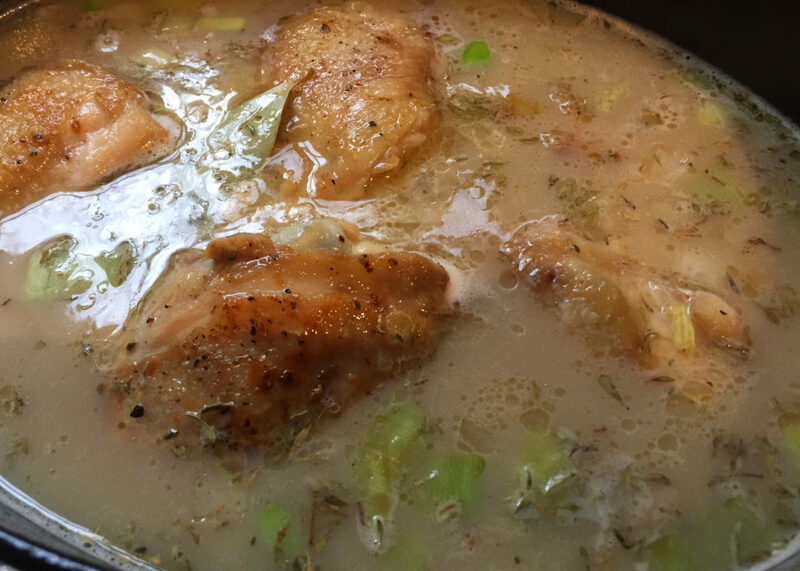 Lower heat to a very gentle simmer and cook until the chicken is done, about 30 minutes. If your pot isn’t big enough (as mine wasn’t), start out with as much water as will fit into the pot along with the veggies, spices, and raw chicken. Once the raw chicken is cooked you can add in the spare chicken carcass and more water. After 30 minutes, remove the now cooked chicken pieces, let cool until you are able to handle to remove the meat. Set the meat aside and add the skin and bones back into the broth (along with extra chicken carcass if you haven’t already added) and very gently simmer for another 2 hours. 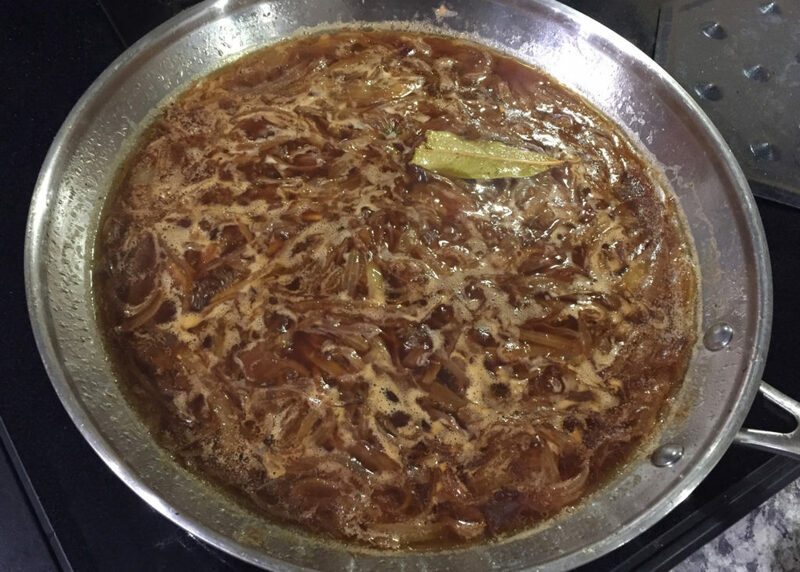 Once finished, strain the broth into a large pot and stir in the fish sauce, to taste. Cook the rice noodles according to the instructions. Shred the chicken into large pieces and gather the rest of your garnishes. Place some noodles and chicken in your bowl, add in the Asian child-garlic sauce and hoisin sauce to taste. Ladle over the hot broth and top with garnishes. Enjoy! Note: the cool noodles and chicken are re-warmed by the hot broth but if the soup isn’t hot enough for your liking, you can heat up the chicken and noodles in the broth while it’s still on the burner, then divide between individual bowls. But I would only add the chicken and noodles to the amount of broth you are going to eat in one sitting, reserving the rest of the clear broth for another day or the freezer. I know some East-Coasters have been suffering through a very hot summer but I couldn’t help feel just a little bit jealous as I sat in the searing +18C degree heat (can you hear the sarcasm?) of a very mediocre June and somewhat mediocre July. Then suddenly, summer arrived the first few weeks of August. And although it’s gone again now (arrrghhhh fall… really?!?!) I am harkening back to the days of two weeks ago when all was merry and bright and beautifully WARM. I’m talking “no sweater required at 9:00pm WARM”. Not this ridiculous “oh the sun has gone behind a cloud where the heck is my jacket” weather. 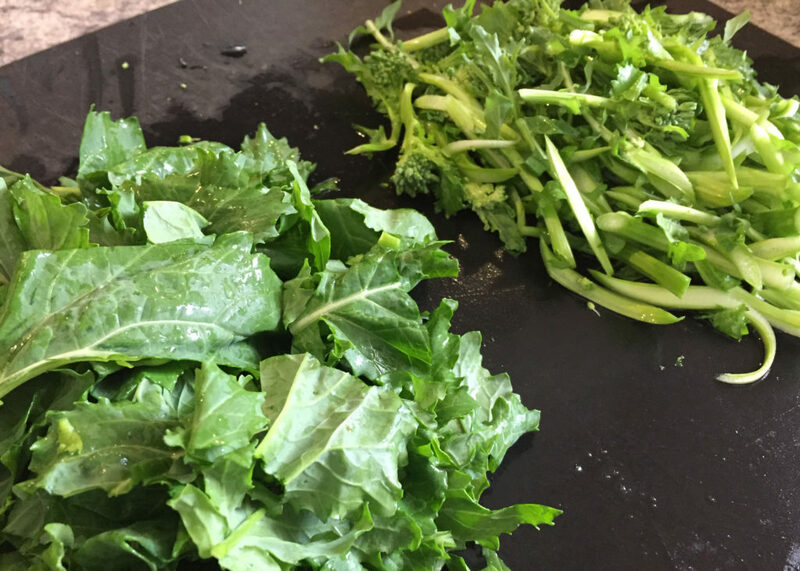 The good weather was a blessing a few weeks ago when I planned an outdoor dinner that put many of my newly learned culinary school skills to the test. Six courses, several consisting of two or three separate main elements and a number of different garnishes. It was fun, stressful, and a good learning experience. The third course was my lifeline as it was prepared the day before (no last minute fussing) and simply garnished with toasted almonds. It gave me a breather in the middle of the meal and provided a wonderful palate cleanser. 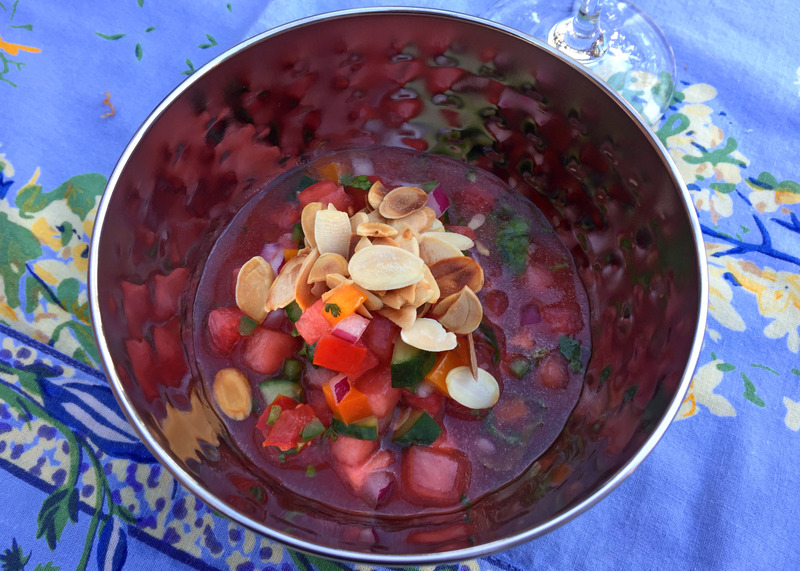 It is none other than… TA DAAAAAA… watermelon gazpacho!